When it comes to roof replacements most homeowners are more concerned about the colour of their shingles than what they are made of. Just in case you are curious about what the shingles that are on top of your home are made of, this blog post is for you. Asphalt shingles are far and away one of the most popular types of roofing shingles used in Canada and across North America. You will find them on most homes in an array of colours. In fact it is estimated that about 4 in 5 homes use this type of shingle. What Are Asphalt Roof Shingles Made Of? Did you know that asphalt shingles are not made entirely of asphalt? Rather, they typically are made used 4 layers of materials – with each one playing an important role to protecting your roof. Outside of asphalt, fibreglass is a main ingredient in shingles. Asphalt shingles are reinforced with a fibreglass layer or mat, using glass fibres that are bound together with stable resins and binders. This layer is directly in the middle of the shingle and asphalt is adhered to either side of the fibreglass layer. This is the main ingredient that provides water resistance. “The asphalt used is an end-product of oil refining and, although somewhat similar in origin to road asphalt, it is processed to a higher degree of toughness needed for asphalt shingle performance. The roofing asphalt has to be “oxidized” by blowing air through the hot asphalt, increasing its viscosity,” says IKO. This is the most visible component of the shingles and the element people are most familiar with. It is the rough surface that gives the shingles grip. The granules are located on the top of the shingle to provide a top layer of protection against the elements. It is the granules that make up the colour of the shingle. Sealant is used to bond the shingles together and to the roofing surface once they are installed. This is located commonly on the bottom of the shingle, although some shingles have the sealant applied to the top. The sealant is designed to activate at a specific temperature range. These are the core elements that make up an asphalt shingle. Using the above materials and a layered approach to shingle manufacturing ensures that maximum protection is provided against weather elements. Other types of shingles such as organic shingles and fibreglass shingles are manufactured using a different set of materials. Contact us to learn more about what singles are made of or to get a free estimate. 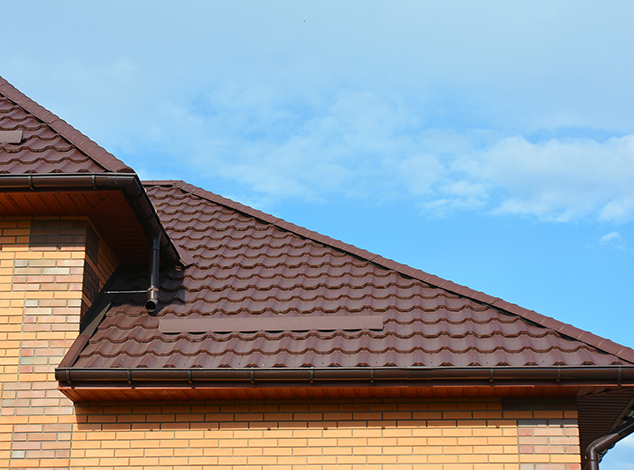 What are the main types of roofing materials used in Canada?